More than a hundred years ago, before Europeans had set foot on what is now Kenya, a tribal prophet named Kimnyole spoke of a vicious “iron snake” that would slither its way across the grassy plains, devouring cattle, plundering their lands and wreaking havoc along the way. The beast, he said, would bring a kind of foreigner never seen before, one with strange red hair who would one day rule their land. Although Kimnyole could not have known the details, the prophecy he made was clear on one thing—hardship for his people. 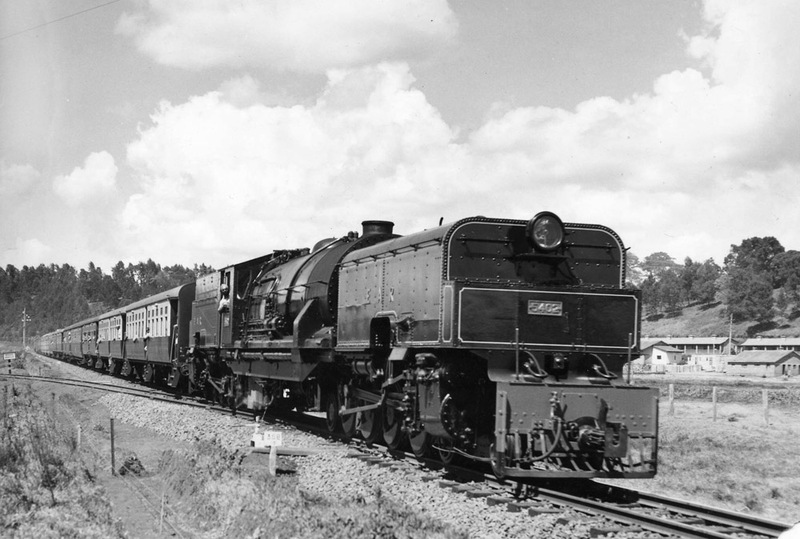 The “iron snake” was the Kenya-Uganda Railway, or the “Lunatic Express,” as the British press liked to call because of the colossal waste of wealth and human life suffered during its construction. The tribes who lived in this region resisted the construction of the railway. Emboldened by their victories against neighboring tribes, the Nandi people went to war against the whites with predictable results. By the time the Nandi gave up arms thousands of them were dead. While Kimnyole’s prophecies turned out to be true, the “iron snake” did dramatically change the land and the lives of the Nandi people in ways even Kimnyole couldn’t have predicted. 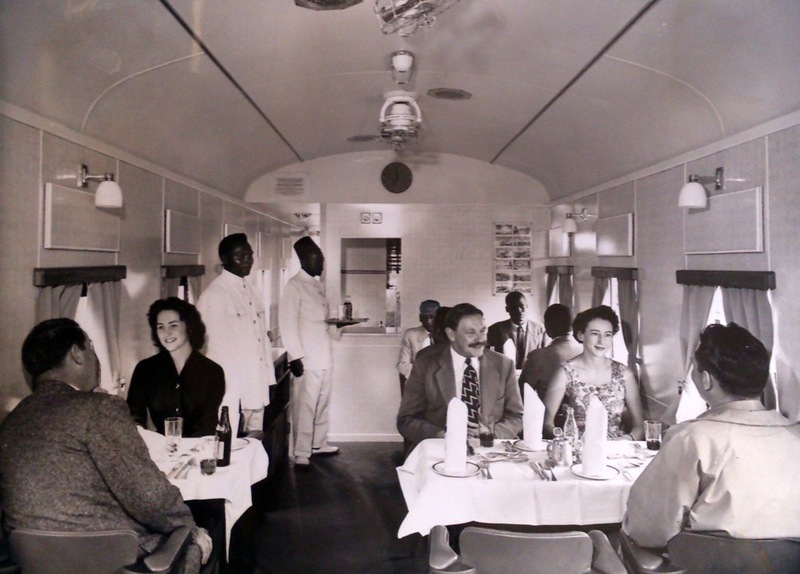 The railway began at a time when European powers were madly scrambling for a piece of Africa. It was the end of the 19th century, and many European colonists had established small trading posts along the coast, but only a few had ventured into the hostile interior. The British were present mainly in Egypt, South Africa and East Africa—a vast region on the east coast which would later break into as many as twenty nations. The French occupied West Africa, and from there they were slowly pushing into the African interior, with the eventual goal of creating an empire spanning east to west. 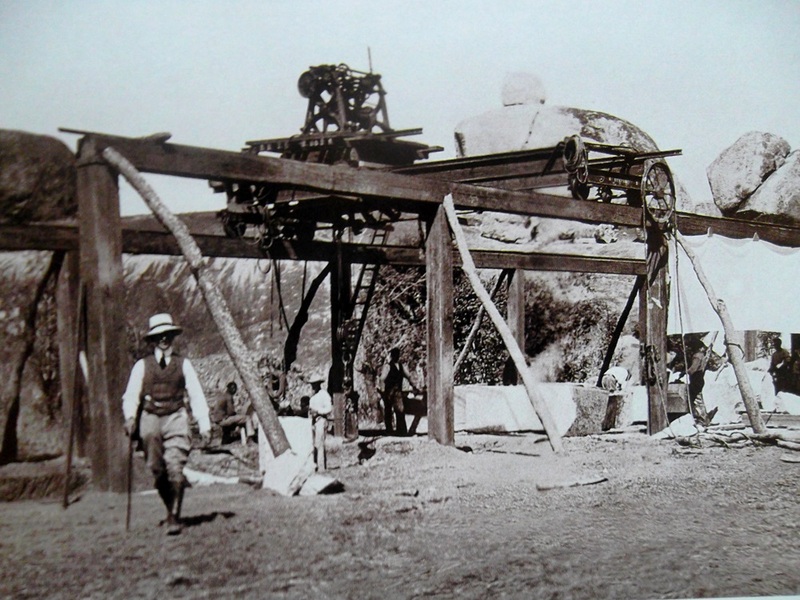 The British sought to block the advances of the French colonists by building a railway connecting the port of Mombasa to the east coast of Lake Victoria, the source of the Nile, eventually controlling the Nile itself. The river, which cut through the continent from south to north, would effectively prevent any competing nation from establishing an east-west empire. Besides, controlling the Nile had a big commercial advantage. 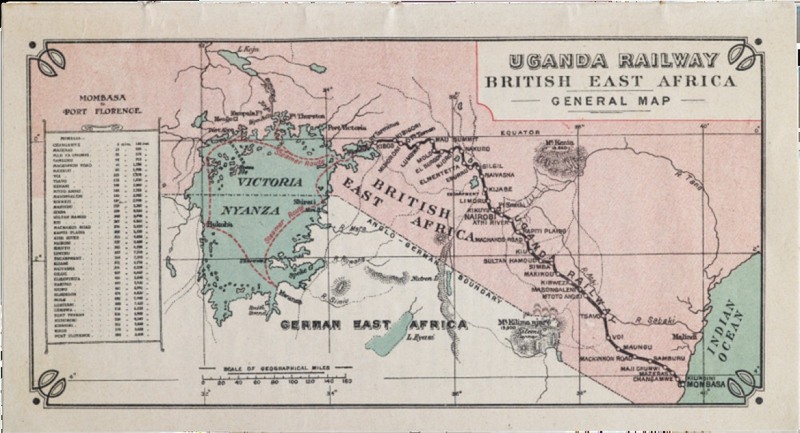 In December 1895, George Whitehouse, the British engineer tasked to build the Kenya-Uganda Railway, sailed into Mombasa harbor with only a sketch of the route the railway was supposed to take. The epic line would stretch for a thousand kilometers, and would be one of the biggest engineering project of the time undertaken by the British. Whitehouse discovered that not only the project would be extremely costly, the work would be physically grueling as well. Directly west of Mombasa lay a vast waterless region that most caravans avoided. Beyond, the railway would pass through 500 km of savanna and scrub that teemed with lions and swarmed with mosquitoes. Then came the volcanic highland region split by a 80-km-wide Great Rift Valley that plunged 2,000 foot from the plains. The final 150 km to the lake’s shore was a soggy marshland. 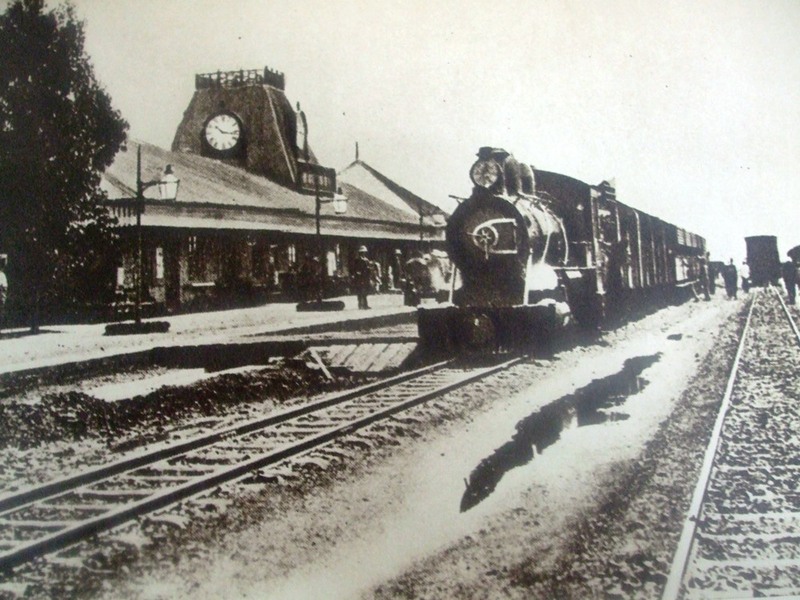 Construction of the railway began at Mombasa, in 1896, and the line progressed towards its terminus on the eastern shore of Lake Victoria. 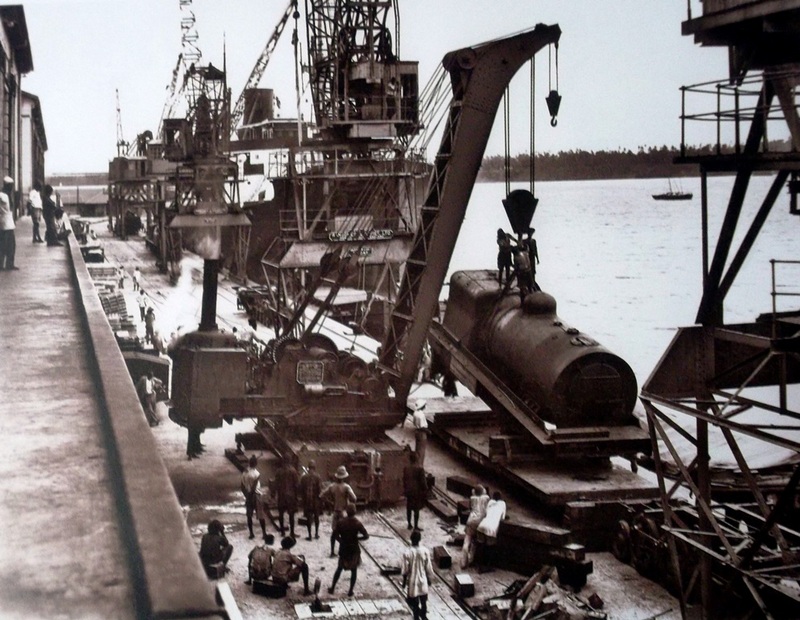 Over the next five years, huge amount of materials arrived at the harbor in Mombasa—200,000 pieces of rails, 1.2 million sleepers, 200,000 fish-plates, 400,000 fish-bolts and 4.8 million steel keys and steel girders. 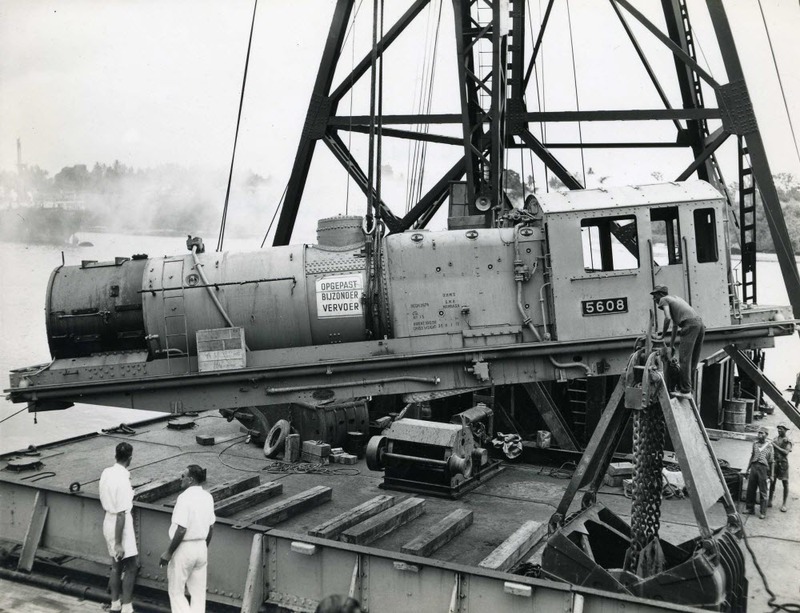 In addition, locomotives, tenders, brake vans, goods wagons, and passenger carriages had to be brought in. Warehouses were constructed, accommodation for the workers built, repair shops and workshops opened. The sleepy coastal town of Mombasa was rapidly transformed into a modern port. 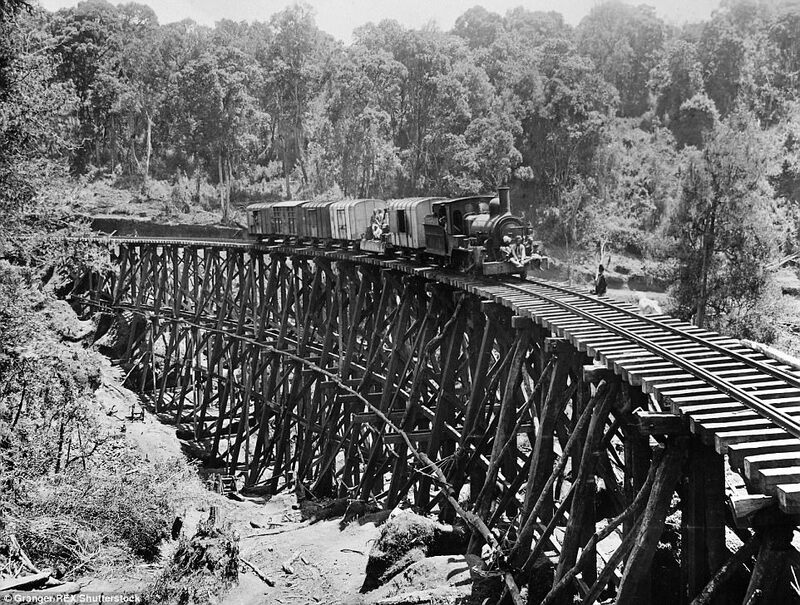 One of the grisliest chapters in the construction of the railway occurred in 1898 during the building of a bridge across the Tsavo River. A pair of man-eating lions stalked the campsite, dragging away workers while they slept in their tents at night. The attack continued for ten months, during which more than a hundred victims, allegedly, were claimed. Hundreds of workers fled from Tsavo, and the construction came almost to a halt. The lions were killed eventually after days of careful stalking and baiting. Some 2,500 workers died during the construction of the railway—four for each mile of track laid. 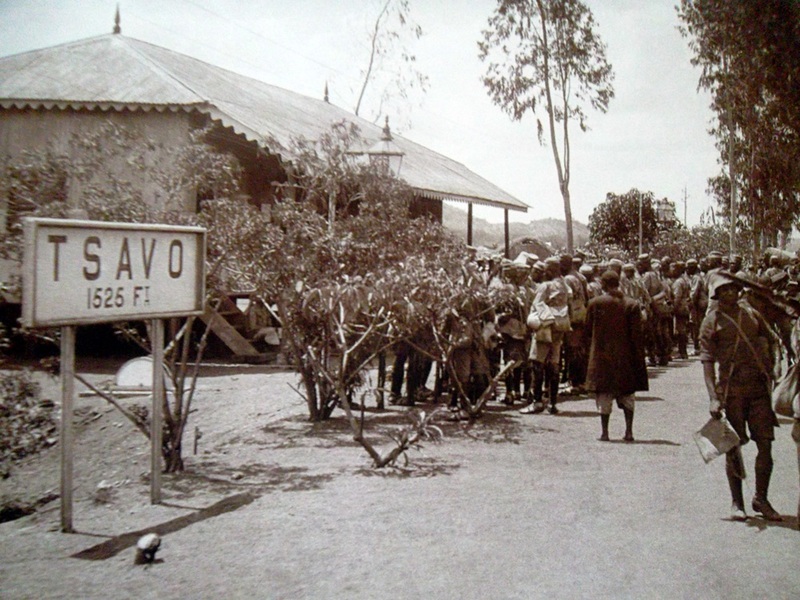 About 6,700 decided to stay behind, creating the first community of Indians in Kenya. The rest returned home. It clearly is naught but a lunatic line. It was the first time the word “lunatic” was used to describe the railway—a word that would frequently be associated with the line. The term “Lunatic Express” came much later, coined by Charles Miller in his 1971 book The Lunatic Express: An Entertainment in Imperialism. 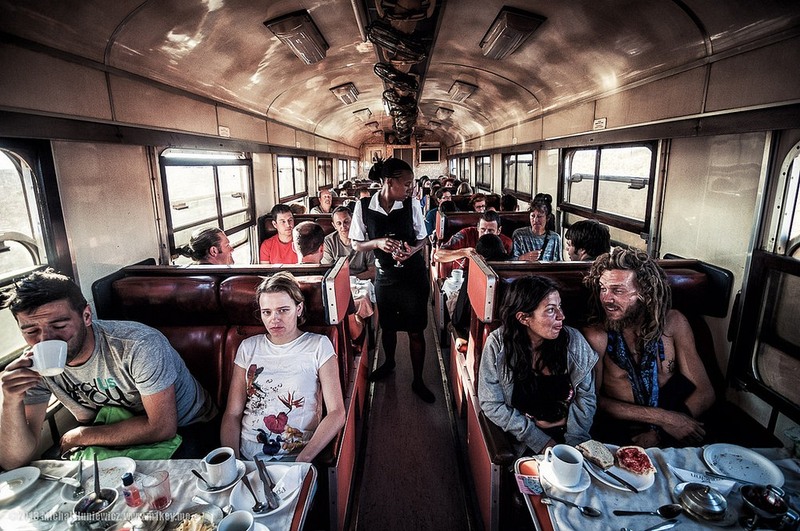 Over the next one hundred years, the railway played a vital role in the development of the region, opening up the East African interior, and connecting it to the coast. Before the railway, Nairobi was an uninhabited swamp. Here, Whitehouse decided to build a half-way house with a store depot and a shunting ground. Today, Nairobi is the largest city of Kenya with a population of over 3 million. The railway continued to operate for 116 years, until 2017, when the last meter-gauge train made its run between Mombasa and Nairobi. The route is now taken over by a faster rail service whose lines run parallel to the original Uganda Railway. 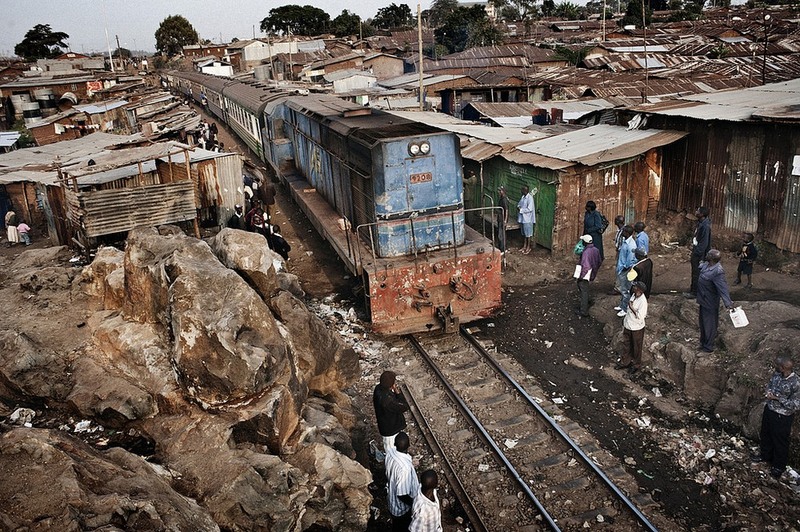 The Lunatic Express passes through the slums of Kibera, on the outskirts of Nairobi.